Over time, my husband and I seemed to have developed a hobby of collecting condiments. Mustards, barbecue and hot sauces, relishes, jellies and chutneys…we are always coming home with at least one jar or bottle of something, especially when traveling or after a visit to a gourmet or specialty foods store. Some people get excited about new jewelry and clothes – I get excited about food items. And this is a-okay in my book. Mustards of all kinds are always a favorite around here for dressing up sandwiches (with a minimal amount of calories too, can’t beat that) and I seem to find myself with several almost empty jars of mustard in the fridge pretty often. 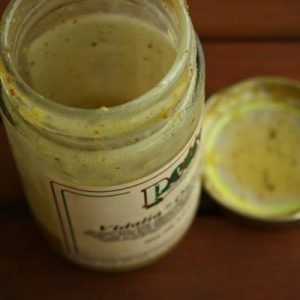 When I’ve spooned out the last bit of mustard, I always know a Mustard and Herb Vinaigrette is in the near future. It’s the perfect time to grab a bunch of fresh greens, tear them up in a bowl or plate and serve yourself up a nice (big) simple salad for lunch or dinner. 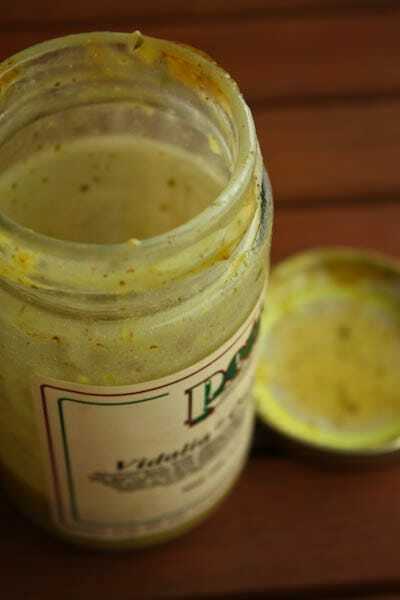 I tend to use dijon, coarse or mustard blends (such as this vidalia onion mustard) for most of my vinaigrettes. Keep an eye out on the mustard aisle when you’re out shopping, it’s always fun to try new flavors. 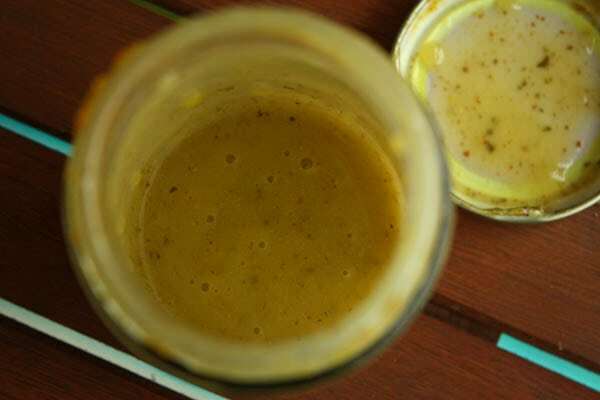 If you try this Mustard and Herb Vinaigrette, be sure to let me know! Add all ingredients into mustard jar. Seal lid and shake vigorously until well combined. Taste for seasoning (add more honey or agave for sweetness). Spoon over your favorite salad greens and store the remainder in the refrigerator for 3-4 days.